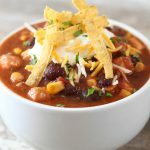 This Crock Pot Chicken Tortilla Soup is easy to make and is an all day slow cooker recipe with great flavor. 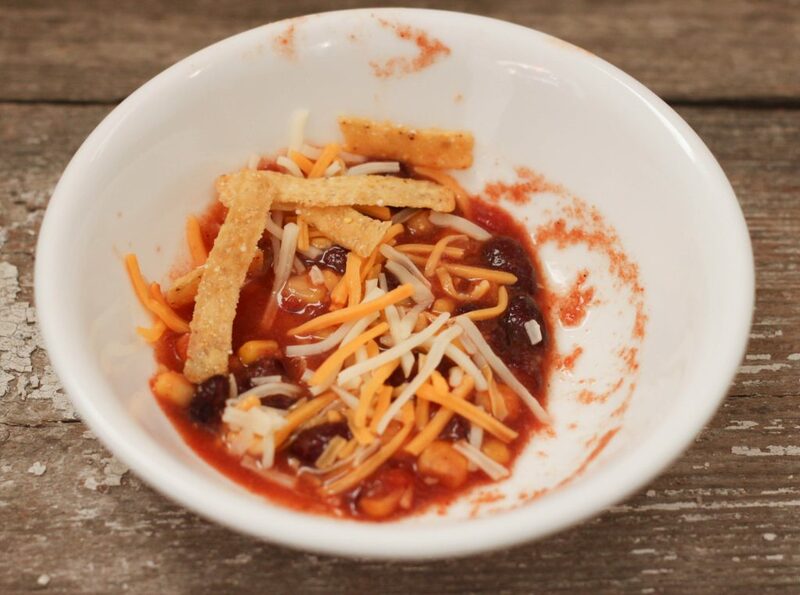 When I made this soup to blog I dished up a couple little bowls for the boys and then made the bowl above to photograph. I was almost finished taking the pictures when our youngest (who just turned two) brought me what was left in his bowl to take a picture of! It was so cute! So of course I had to include that picture for you all too! I love dump recipes like this, easy to make before taking off for the day and dinner will be served when you get home. Cutting up the chicken is the most labor intensive part of this recipe. You could use rotisserie chicken or pre-cooked chicken if you want a quicker way to get this recipe cooking. 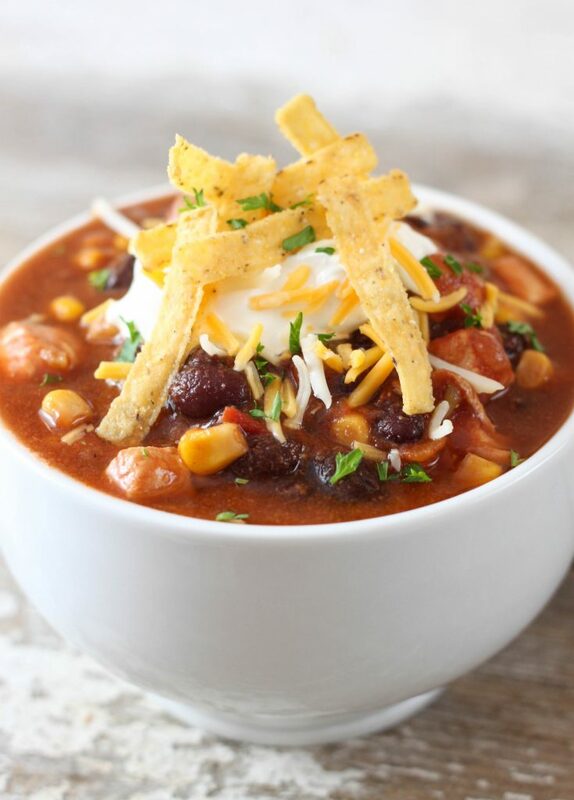 This recipe has the perfect amount of flavor but isn’t spicy (not a spicy fan) making it the perfect soup for the family. I used tortilla strips for the picture but you could also use crushed tortilla chips. 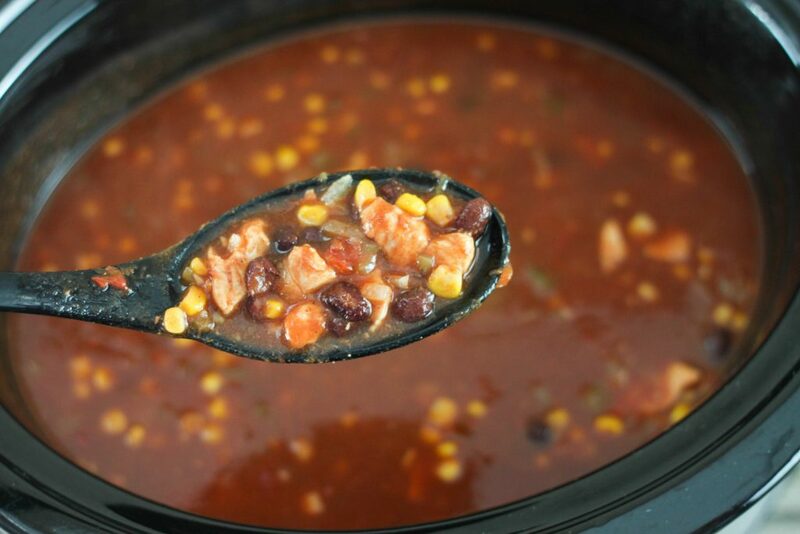 Place chicken, tomatoes, enchilada sauce, onion green chilies and garlic in a 5 or 6 quart slow cooker. Pour in chicken broth and season with cumin, salt and pepper. Stir in corn and black beans. Cover and cook on low setting for 6 - 8 hours or on high for 3 - 4 hours. Garnish with crushed tortilla chips or tortilla strips, sour cream, shredded cheese and chopped cilantro (optional).